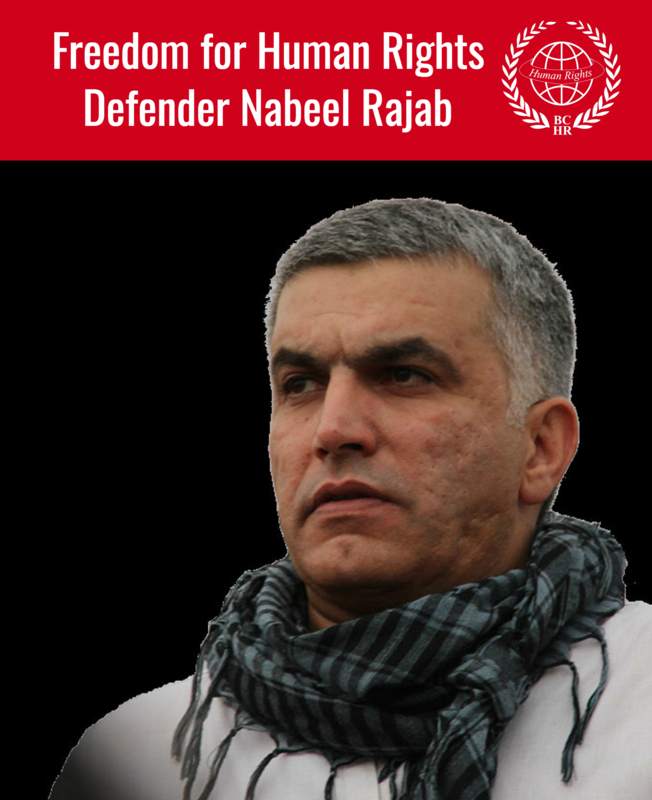 The Bahrain Center for Human Rights expresses deep concern about the Bahraini authorities persistence in targeting and harassing human rights defenders, which was shown recently in the ill treatment inflicted upon the president of BCHR, Mr. Nabeel Rajab, through selective security measures practiced against him. Mr. Rajab was detained for about one hour by national security agents upon his departure to Greece through Bahrain National airport, after being threatened, his personal laptop and mobile phone were forcibly confiscated (in addition to the rest of the electronic devices that were in his possession), all files and information on these devices were copied, even family pictures and files related to his human rights work. On Thursday the 2nd of December 2010, as Mr. Rajab sat in one of the departure gates in the airport, after going through all the normal security procedures, he was approached by a member of national security named Khalid AlKhalifa. Mr Rajab was asked to leave the departure gate and go with him to the passport area, as they reached the security section he was asked to open his laptop, after which he was surrounded by a group of national security agents, some of whom were non-Bahraini and dressed in civilian clothes. Mr Rajab and his electronic devices were searched thoroughly, Khalid Alkhalifa then ordered some of the men to take the laptop and mobile phone to and unknown location. While Mr. Rajab did not mind or object to the inspection, even though it was selective and unusual, he did ask that the search on his devices be made infront of him, openly and transparently, expressing his concern that abusive or malicious files might be planted on them. Khalid Alkhalifa not only denied him this but also threatened him that if he does not hand over his devices they will be forced to deal with him in a different manner, and they will make him regret it, to confirm this threat another group of agents was called over. After which all his electronic devices were forcibly confiscated and taken to an unknown location for more than half an hour. In that time one the agents asked Mr Rajab not to talk to or greet any of the travelers in the airport, or else they too will be targeted and interrogated. When a young acquaintance going to Dubai, unaware of the situation, recognized Mr Rajab and shook his hand, the agents interfered and pulled the man away infront of all the travelers to an unknown location to search and interrogate him. Two minutes before take-off Mr. Rajabs belongings were returned to him, he found on later that all their contents were copied including pictures and documents related to his human rights works or his family members. Especially since the security apparatus has before copied information and personal documents from other activists with no legal or judicial order. The President of the Bahrain Center for Human Rights is being subjected to continuous targeting and harassment for years and at different levels. Some come in the form of a personal attack through smear campaigns using the media such as the official television and radio channels, newspapers close to the power and some of the columnists and editors there. In some situations it even amounted to physical assault. The harassment has increased since the latest security crackdown began in August, as a defamation campaign was launched against him in the frame of publishing his image in the Bahrain News Agency as one of the members of the alleged terrorist cell, as well as the continuous publication of his picture in the local government newspapers. Rajab was banned from leaving the country but this ban was lifted recently, and his name was circulated to some Gulf and Arab states and Arab to make it more difficult for him to move around the area, which is something that has repeated itself several times in previous years. Rajab and his family are exposed to constant monitoring of all their personal phones, and this observation has reached to the point that the National Security Agency during the interrogation of some of the current detainees, questioned them using data they had of the contents of calls with Rajab. He and his wife have been subjected to a smear campaign by sending thousands of mail containing his picture, and accused him and his wife of betrayal. This came in addition to sending malicious text messages to his mobile, which he later discovered were being sent using a company in South African, and that the bills were being paid from the special account of Sheikh Ahmed bin Ateyatalla Al-Khalifa, head of the Central Statistics Agency and State Minister for Cabinet Affairs. Rajab and his wife filed several complaints to the Attorney General regarding the messages of threats and defamation, with no result. The complaints were neglected and there was no investigation in the matter. In 2005, during his participation in a demonstration for the unemployed, Rajab and his colleagues were subjected to physical assault by the Special Forces, which resulted in the necessity for a two week long treatment at the hospital due to sustained injuries, especially in the spine which he is still suffering from to this day. In March 2007 Rajab was called in for questioning for publishing documents and information relating to the scandal (Bandergate). This incident is one of many targeting human rights defenders in Bahrain in an attempt to hinder or stop their human rights work. Several activists have been detained in Bahrain National Airport, amongst them the lawyer Mohammed AlJishi, who works on cases related to human rights defenders and political prisoners; and human rights activist Sayed Yousef AlMahafdha who was stopped several times in the last few months and has missed a flight because of interrogation. Saudi national and activist Waleed Slaise and his electronic devices were also thoroughly searched as he travelled through Bahrains airport. Moreover, most foreign activists, lawyers and journalists visiting Bahrain are subjected to security surveillance without any legal basis or court order, while many activists were arrested during the last security crack down and subjected to torture during their arrest. The High Commissioner for Human Rights at the United Nations expressed grave concern at the opening of the fifteenth meeting to discuss the human rights situation, about the harassment of activists and human rights defenders in Bahrain. The BCHR assures that the authority’s policy of continuing to target human rights defenders and their organizations, specifically the Bahrain Center for Human Rights and its leaders, will not stop human rights defenders from doing their job and continuing their activities, instead it reinforces their belief in exposing the illegal actions that have transformed the country’s image into an authoritarian police state. 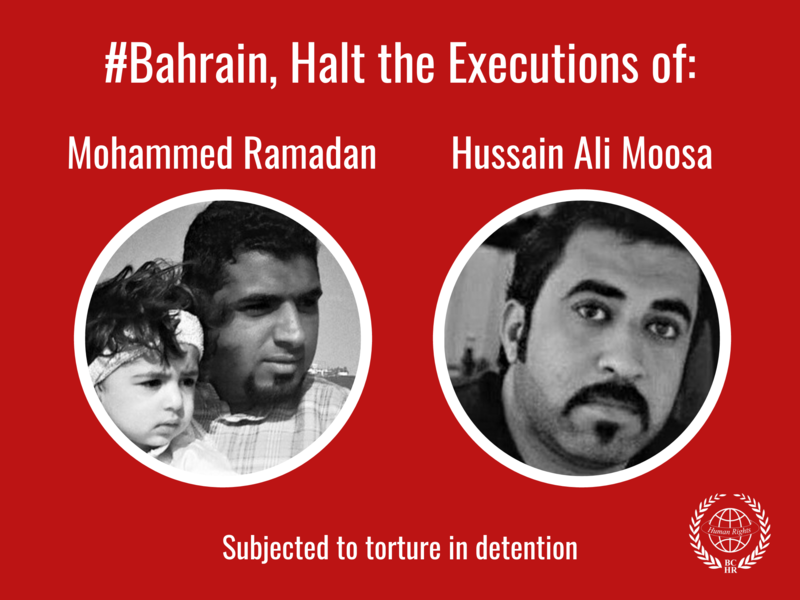 The BCHR calls the Bahraini authorities to: 1-	Ensure the physical and psychological integrity of all human rights defenders in Bahrain. 2-	Stop all harassment of human rights organizations and activists in Bahrain, whether they be physical, legal or concerning their privacy. 3-	Releasing all human rights defenders who are currently detained 4-	Committing to the articles of the Declaration on Human Rights Defenders, adopted on the 9th of December 1998 by the General Assembly of the United Nations. Especially article 1 which states that “Everyone has the right, individually and in association with others, to promote and to strive for the protection and realization of human rights and fundamental freedoms at the national and international levels.” And article 12.2 which states that “The State shall take all necessary measures to ensure the protection by the competent authorities of everyone, individually and in association with others, against any violence, threats, retaliation, de facto or de jure adverse discrimination, pressure or any other arbitrary action as a consequence of his or her legitimate exercise of the rights referred to in the present Declaration.” 5-	Ensure respect for human rights and basic freedoms and the right to privacy in all conditions in accordance with international standards related to human rights and international conventions which were ratified by Bahrain.